How About a New Love Life in Spring? So the first quarter of the year is behind us. It’s a great time to take stock and course-correct on the way to your goals for the year. Here’s the trick: WITHOUT BEATING YOURSELF UP, did you take a step or two towards where you want to be in your relationship life this year? 1. Did I make an Inner Shift? This would be a “yes” if you had a realization about your pattern, if you uncovered an old belief that was holding you back, if you finally forgave someone you had a relationship with in the past, or if you significantly improved your relationship with yourself. There are many more ways to make an Inner Shift – here’s a quick exercise to see if this is really true for you: Think of how you were feeling about your intimate relationship(s) around New Year’s – recall a situation or experience that revealed to you the feelings you had about your relationship life at the time. After you get in touch with how you were feeling around New Year’s, check in with how you’re feeling about your relationship life right now. Do you feel better? Or worse? That was kind of a trick question, because feeling worse now than you did around New Year’s could count as a positive step, if you are feeling worse because of some growth that occurred, some shift that happened that is now stirring up some nasty stuff inside. You may not be on the other side of the growth yet, but if you think there has definitely been some positive movement that will just take some sorting out, then Yes – you’ve had an Inner Shift. In the right direction! If you are feeling about the same about your relationship life as you were around New Year’s, then perhaps there has been no growth and no step taken towards what you want for yourself in this area – so that’s just something to NOTICE and become aware of. Again – without beating yourself up or judging yourself harshly for it – it’s just a good piece of information to know. 2. Did I make an Outer Shift? This one is usually more obvious – did you attract a new love, did you get married, did you work through some major misunderstanding in your relationship that has now set the two of you in a more positive direction in your existing relationship? Do you see a noticeable shift in how you are with your family and friends? A positive Outer Shift could also be a break-up if the relationship really was not good for you. If it could have been good for you, but the two of you didn’t have enough relationship skills to work it out, this is also positive growth because a breakup usually catalyzes each partner to learn more about not repeating the same mistake. I’ve also seen people get back together after moving apart, working on relationship skills, and then trying again while applying the new skills learned. 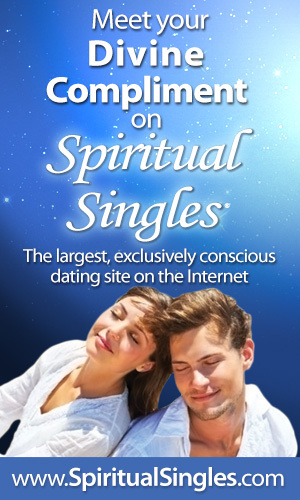 If you’re a compatible match, this can work again. It won’t work if you both haven’t grown and developed in the meantime. 3. What did I just learn as a result of asking myself these 2 questions? If you feel that you made a shift on an Inner level or on an Outer level, take time to celebrate that! An important part of your relationship journey is to really TAKE IN your wins – acknowledging yourself is an important practice of Self-Love which will improve your relationships with others. And if you feel that you didn’t make the shift you may have desired, have compassion for yourself – that is another important practice in your journey to greater Self-Love. 4. What would I like to focus on next? No matter what the results of those first two questions, now is the time to set fresh goals for your relationship life. Spring is a beautiful time for blossoming, so you are right in sync with all of nature if you plant your seeds right now. The purpose of this short exercise is simply to take an assessment to keep you on track with what you desire from your relationship life. At the very least, it can help bring up the idea for you that your relationship life IS indeed important enough to put your time, attention, and energy into, and something you can work towards improving. You can take tiny steps each day, each week, each month to bring yourself the results you want to see. On the other hand, if you are not taking steps to improve your relationship life, chances are that significant improvement will not be taking place any time soon. I have seen things change like a bolt out of the blue! And there are specific steps and practices you can take to start putting out the right energy towards what you desire, and get the result you’re looking for. But you do have to be conscious about how you’re putting that energy out and do it consistently to override any programming in your subconscious mind that is no longer serving you. So celebrate Spring and the promise of New Life that it brings! If you’d like a new relationship life, think of what you would like to see at the end of the next 3 months, and start taking a step in the right direction. You just may see a real shift by the time Summer arrives! In your comment below, or on my Facebook post here, set an intention for what you want to do so you can see a shift in your relationship life by July. Then you can see where you’re at with your goal by then! And if you can use some support to sort out what can work for you in the area of relationships, set up a 30-minute free consultation with me here to see if we are a good fit for working together. Wishing you a LOVE-ly Spring! On Dec 31st I felt frustrated that my relationship was not working. Two days later he called and wanted to know if I was interested in getting back together this time trying for marriage. We dated three months and tried implementing new skills this time around, but it did not bring us closer. I ended up not feeling connected and unsure about the relationship. He was still talking about his first marriage, and I did not feel secure. Neither one of us has the skills to be successful. Or maybe it is just not a good match. I would like to be more successful in a relationship and know and trust that it does work instead of continually trying to make it work. Thanks for leaving your intention! First, I commend you on learning new relationship skills and that the both of you really tried to make it work. Secondly, I commend you on stating a clear intention for yourself. I have a few neuro-science tips to make it a really strong goal: use the words “I now decide” or “choose” or “intend” or “commit”. Otherwise your subconscious mind does not register it as something to act upon. Try saying to yourself “I now decide to be more successful in a relationship, etc.” See if that feels different. After you make a commitment, listen to your Inner Guidance for any inspired action you ought to take. Only take action if it comes from your deeper Soul knowing, your gut, rather than something your conscious mind is thinking up or figuring out. Then check in with yourself in July and see how far along your goal you have come! Let us know!